Aspire to your next level of kitchen cool and simplify the pursuit of your home chef passions with the Ayesha Curry Home Collection Porcelain Enamel Nonstick 12-Piece Cookware Set. This collection of inspiring, high-quality cookware includes all the essentials for creating flawless traditional favorites to make a serious signature statement on new recipes for brunches, date night, or holiday get-togethers. 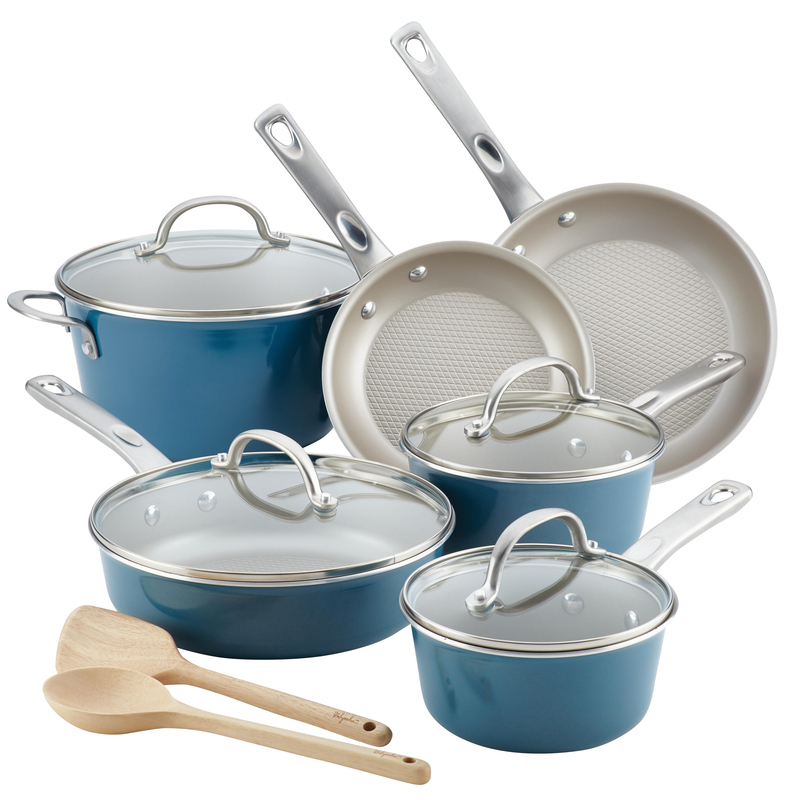 Featuring saucepans in two convenient sizes, a covered Dutch oven, two skillets, and a covered sauté pan, gourmets and novice chefs alike will be prepped and prepared to pull off Ayesha’s Brown Sugar Roasted Chicken, Sweet and Savory Shrimp and Grits, or Olive and Mushroom Smothered Pork Tenderloin.